It was widely reported earlier this week that 16 well-known influencers (remember when you had to be “well-known” to be an influencer?) have volunteered to start following the law when posting about products or services. 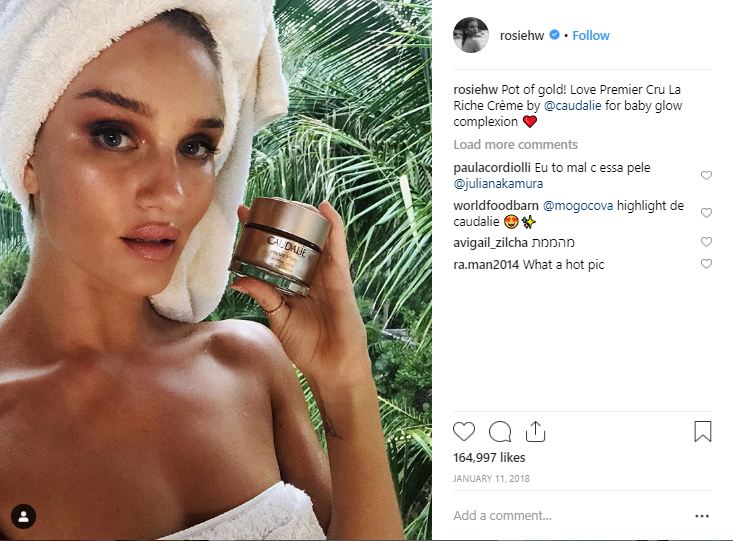 The influencers, who include model Rosie Huntington-Whiteley and Singer Ellie Goulding, have agreed to make it clear in their posts when they’ve been given a product for free or have been paid to promote it. This follows an investigation by the Competition and Markets Authority which found that their previous posts may have broken consumer laws. Did Rosie Huntington-Whiteley pay for this Crème? We may never know. 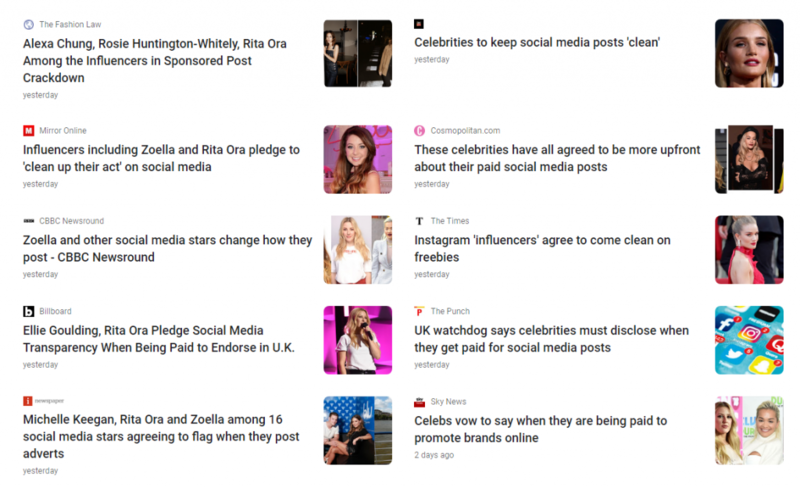 As the CMA’s guidelines explain, anyone posting about a product or service they have been paid to promote, given for free or lent must be clear about the fact at all times. In order to ensure fans are clear about what is genuine enthusiasm about a product and what is just marketing, influencers must provide some clear declaration of the nature of the agreement. The CMA says that these declarations should be “transparent, easy to understand, unambiguous, timely and prominent”. They recommend that Instagram users include the hashtags #Ad or #Advert as well as making use of IG’s Paid Partnership’ tool. They say that tagging a brand or using ambiguous language like “thanks to Toilet Duck for providing this product” is not clear enough to comply with the law. 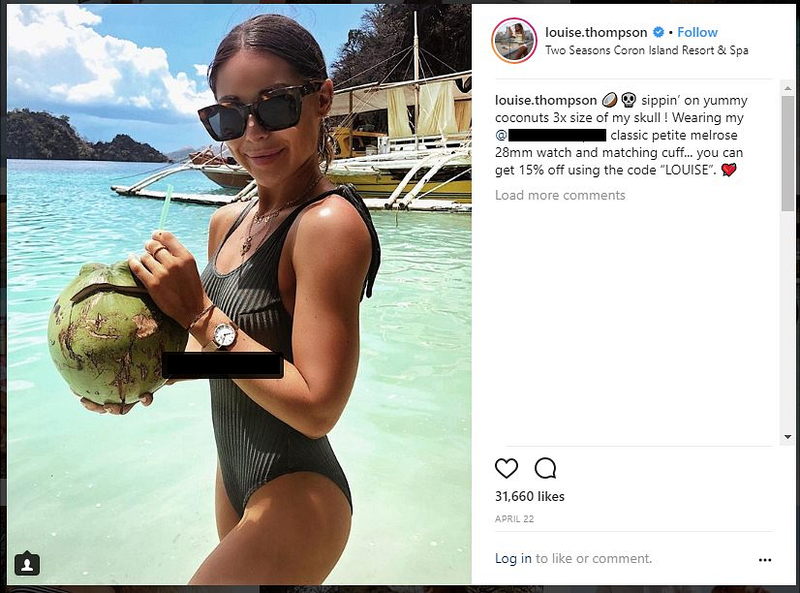 This post by Made in Chelsea’s Louise Thompson may have broken the law by failing to disclose that Louise was paid $2 by the International Coconut Marketing Board. These matters are normally responded to by the Advertising Standards Authority which focuses on which advertising campaigns have broken the law. This case is different however as the CMA have got involved. The CMA can take action against individuals and even has the power to implement unlimited fines or hand out two year prison terms. All of the 16 influencers have agreed to be much clearer in any future posts about which are sponsored and which are not. It seems likely that the influencers who received the warnings have been chosen by the CMA to ensure that this action gets the maximum publicity, ironically. Perhaps this post should have been titled “Competition and Markets Authority Launches New Campaign with the Help of 16 Influencers”. Social media platforms are rife with Influencers, from all parts of the spectrum from micro to mega, sharing posts which may or may not be adverts. The CMA is clearly trying to send a message here that this will not be tolerated. Their strategy seems to be to influence smaller influencers using larger influencers. The CMA’s Campaign has gained a lot of traction in the press. Consumers, meanwhile, as far as I can see, don’t care in the slightest. If you follow any of these esteemed content creators/lifestyle advisers you can be safe in the knowledge that any posts they share will now be clear if they are an #ad or not. It’s been a bad week for the reputation of Influencers. Documentaries about the Fyre Festival debacle have been released by Netflix and Hulu both of which highlight the part that Influencers paid in advertising the festival which turned out to be a complete disaster. The Influencers, including Bella Hadid, Emily Ratajkowski and Kendall Jenner (who was reportedly paid $250,000 for one Instagram post) presumably had no idea how the festival would turn out so they can’t really be blamed for that. 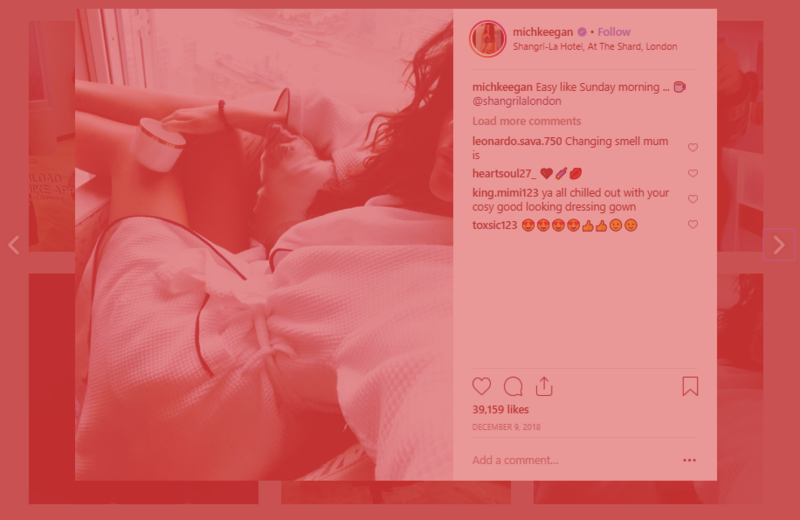 As we noted back in 2017, only Ratajkowski disclosed that her posts were #ads. The other posts may have gone against the FTC’s guidlines and therefore broken the law. As Digital Music News points out, to date only Bella Hadid has apologised for her part in promoting the event.